Holy Moose, this is quite a surprise. At least I did not expect this to happen so soon. I wouldn’t have believed it if it wasn’t coming from AllAboutSymbian. 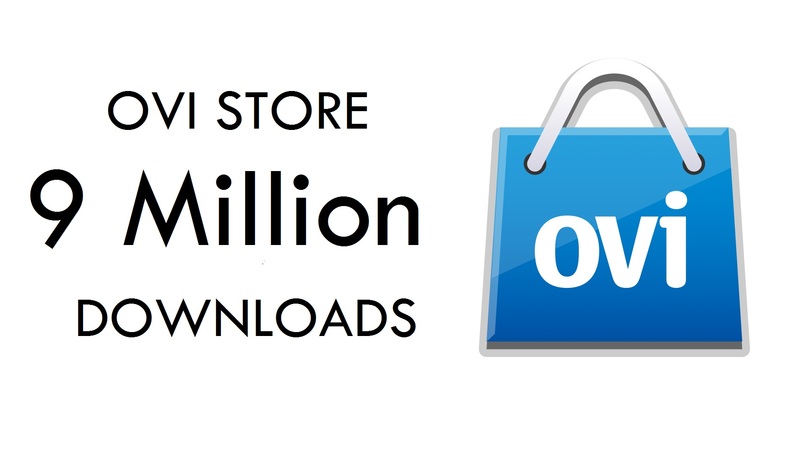 It was only a few weeks ago that Ovi Store passed 7 million. That was just after passing a recent 6.5M milestone too. Actually the precise figure at the time was 7.62M, already close to 8. AllAboutSymbian reports Ovi Store is now on 9M daily downloads! We said last time that should Ovi Store continue at that rate, it would reach over 3B/year rate. Now should it continue at 9M it would be doing 3.285B per year. Quite a steep growth rate. 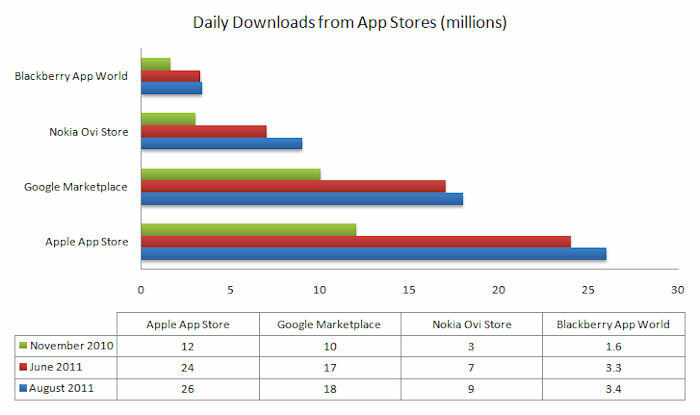 Rafe has put together though a chart to give some perspective of what this looks like compared to the “other” app stores. With not even half of Android’s app list, Ovi Store folks already download half as much as Android folks. Since June, Android Market downloads increased about 11%, App Store 8% and Ovi Store about 29%. BB increased about 3%. Thanks for the tip, fantom. « Symbian Belle Update Leaked: Not recommended – try at your own risk.